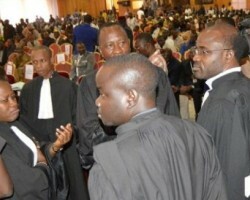 APA-Ouagadougou (B/Faso) — The trial over a failed coup in Burkina Faso, which was suspended for a month, resumed on Wednesday morning only to be postponed yet again. 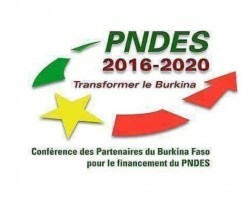 APA-Ouagadougou (Burkina Faso) — The United Nations System announced it has mobilized CFA300 billion francs (US$555 million) for the process for sustainable transformation in Burkina Faso in 2018-2020. 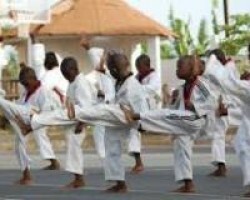 APA-Ouagadougou (B/Faso) — Burkina Faso will host the 17th African Karate Championship from 18 to 22nd April in Ouagadougou, the country’s federation for the sport announced on Tuesday. 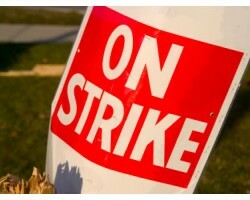 APA-Lomé (Togo) — Togolese public servants, at the call of the Confederation of trade union workers of Togo (STT), begin Tuesday a new 4 days in a row strike, the union said in a statement transmitted Monday to the government. APA-Ouagadougou (B/Faso) — A primary school pupil was killed and a teacher kidnapped at the Bouro Primary School in the town of Nassoumboun, northern Burkina Faso by unidentified armed men on Thursday evening, APA learnt from reliable sources. 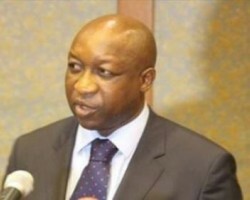 APA-Ouagadougou (Burkina Faso) — Burkina Faso, which had a growth rate of 6.7 per cent in 2017, is resolutely pursuing a “march towards progress” facilitated by the government’s policy “against social inequalities and corruption,” Prime Minister Paul Kaba Tiheba has said. 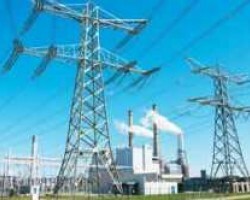 APA - Ouagadougou (Burkina Faso) — The ambition of the Burkinabe government is to raise the electricity access rate from 20 percent currently to 45 percent by 2020, Prime Minister Paul Kaba Thieba said in Ouagadougou on Thursday.